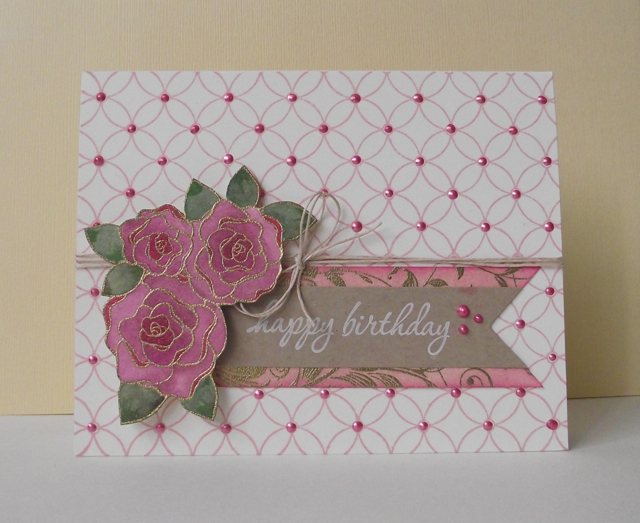 Found this stamps set in my scrapbook store, I don't know how I missed it before… I just love the roses. 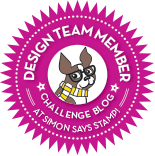 Kristina Werner used gold embossing powder on a project for the Simon Says Stamp Blog and I just loved the effect. Here is my interpretation and I am submitting it for the Hero Arts April "Just for Her" contest. Hero Arts Stamps, (with Basic Grey) Pattern Hearts and Flowers (CL596), Loopy Circle background, Leafy Vines background (on the kraft piece) and sentiment is from Decorate it message stamps. Inktense watercolour pencils for the flower and petals.